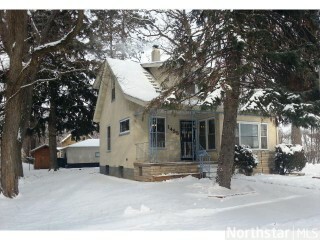 Enjoy this Bungalow on 3 Lots right in St. Paul -Treed space offers privacy- Same Family for 100+ yrs. Could split a lot if wanted. 2 Car Garage/ 3 Bed/ S.S Apps/ Hrdwd Flrs/ Bsmt unfinished/ Porch/ Patio - Extra Shed & More! Quick Closing Ok. Sold AS-IS.